Welcome to Local Island Getaways! Its time to escape and head to Sanibel Island and Matlacha - Pine Island. Whether your planning a family getaway, a romantic weekend or a weekend fishing trip with 'the guys', we've got you covered. Our attention to detail, together with some of the area's best locations, will ensure your stay is as memorable as our beautiful sunsets. 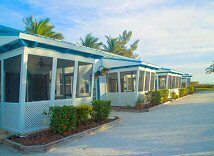 Located in the heart of Sanibel Island, Anchor Inn offers affordable accommodations in a lush tropical setting. Private A-frame cottages, standard hotel rooms and fully equipped 1 and 2 room efficiencies are available. 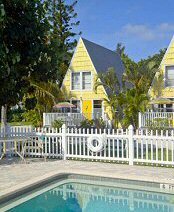 Enjoy the heated pool and new sun deck or get competitive with a game of horseshoes. Bring your camera and binoculars - birds and wildlife are often spotted at the pond in back of the property. Shopping, dining, entertainment and the beach are all within walking distance. Experience Sanibel with the charm of Old Florida! Sitting Gulf front, these 1 and 2 bedroom cottages will be your own private Island paradise. Swimming, fishing and one of the world's best shelling beaches will make your visit one you will remember and talk about for years to come. Tranquility found here! Island Time begins here! With suites and standard rooms that are built directly out over the water, unique won't even begin to describe your stay. Dock your boat room-side or go fishing right out your front door! Dining and shopping are just an easy walk away.